Force India team boss Vijay Mallya has rubbished suggestions that his outfit ever considered boycotting a grand prix in protest at Formula 1's cost crisis. Speculation at the United States GP last week suggested that Force India was behind a threat to join Lotus and Sauber in withdrawing from the Austin event if F1's money problems were not resolved. The stories had been fuelled by the team being coy over what it would do if F1 chiefs ignored the cost problems, with its deputy chief Bob Fernley saying "nothing is off the table" when quizzed on the boycott prospect. 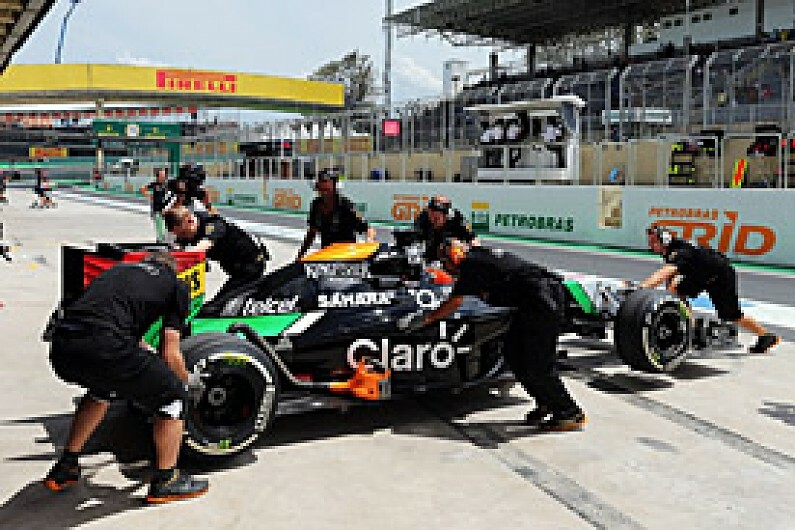 Speaking at the Brazilian GP, Mallya emphasised that at no point had any of the three teams openly made the threat. "Who said that we wanted the boycott the race? Please tell me. If I am wrong, you educate me," said Mallya. "I speak on behalf of Force India. I have never said that we are going to boycott, and I clarified this in Austin. Why would we? We have come to go racing. "I may as well have stayed in England and saved all the expense. Why would we come here? Plus, my fight with McLaren would then have been over. We are racing all the way down to the wire. "Why would I come here, or for that matter have gone to Austin or go to Abu Dhabi, with the whole shooting match if I didn't want to compete?" Discussions between the three teams and F1's owner CVC over a financial settlement are ongoing. Meetings are due to take place over the Brazilian GP weekend, and Mallya has revealed that the trio are willing to accept compromises in exchange for more revenue. In particular, in a bid to ensure a level playing field, they have suggested that for teams to earn income through a new base fund they should accept a voluntary cost cap. This would prevent the top teams demanding more income if the smaller outfits secure a funding boost. "One of the things that we have offered as part of our request for more equitable distribution of pattern of income is that we will impose a voluntary cost cap on ourselves," he said. "So let the big teams, before demanding more money, agree to a cost cap for themselves. They want more to spend more. "All we are saying is that we want to stay strong and keep participating in the F1 world championship. "Please help us with more equitable distribution of funds. If the engines were $10 million instead of $20 million, maybe we would not make the pitch we are making now. "But costs have gone up, income hasn't done so proportionately and those that make the engines charge an arm and a leg for those engines and also make more money.